After one such trip to the river, the madman Abulu prophesies the death of Ikenna. “He said, Ikenna, you shall die by the hands of a fisherman.” Who are the fishermen but his brothers? “He saw a vision that one of you will kill me,” Ikenna says. Ikenna’s ensuing paranoia and decline signal the breakdown of the fraternal relationship. One aspect of tragedy is the question of whether the protagonist’s attempts to elude their fate ultimately guarantee it. Narrated many years after the events it depicts, Ben’s story of his brothers has about it the inevitability of prophecy fulfilled, the symmetry of a moral tale, and the depth of myth. A wild snake that became a monstrous serpent living on trees, on plains above other snakes. Obioma’s imagery is rooted in the animism which has been largely—but not entirely—supplanted by Christianity in the south and Islam in the north of Nigeria. Thus “Father was an eagle: The mighty bird that planted his nest high above the rest of his peers, hovering and watching over his young eagles, the way a king guards his throne.” Locusts are forerunners of nourishing yet catastrophic rains. “Spiders were beasts of grief.” And, in a manner which recalls Bede’s bird momentarily safe from winter storms, “Ikenna was a sparrow: A thing with wings, able to fly out of sight in the blink of an eye”. This serves to connect the trajectory of each character to a rich symbolic framework and the metamorphoses of myth. It also connects the world of the 90s—of coups, riots, elections, and the Olympics—with Nigeria’s powerful pre-Christian spiritual residue. In this way Obioma’s writing serves as an intermediary between the two worlds in a way which mirrors Abulu the madman’s visions and songs. The one who stood on the hills and watched, trying to stave off whatever ill she perceived was coming to her. She owned copies of our minds in the pockets of her own mind and so could easily sniff troubles early in their forming, the same way sailors discern the forming foetus of a coming storm. Early allusions to and later appearances of Things Fall Apart should come as no surprise in The Fishermen, a novel the central characters of which are Igbo and who share the “great man” syndrome of Nigeria’s post-colonial history. The story of a family as a microcosm of the nation is nothing new, but Obioma’s study of disunity, paranoia, and violence emerges from and reflects the violence and instability of recent Nigerian history effectively, whilst refusing the fatalism that an otherwise tragic story might inspire. Despite everything, Ben’s tale is elegiac and full of love. “Yes, Daddy,” I replied, clearing my throat, and began praying in English, the only language in which I knew how to pray. Language is vital in The Fishermen. Nigeria’s wealth of languages and polyglot population mean that the contours of thought, speech, and society can be mapped by the linguistic choices of each individual. 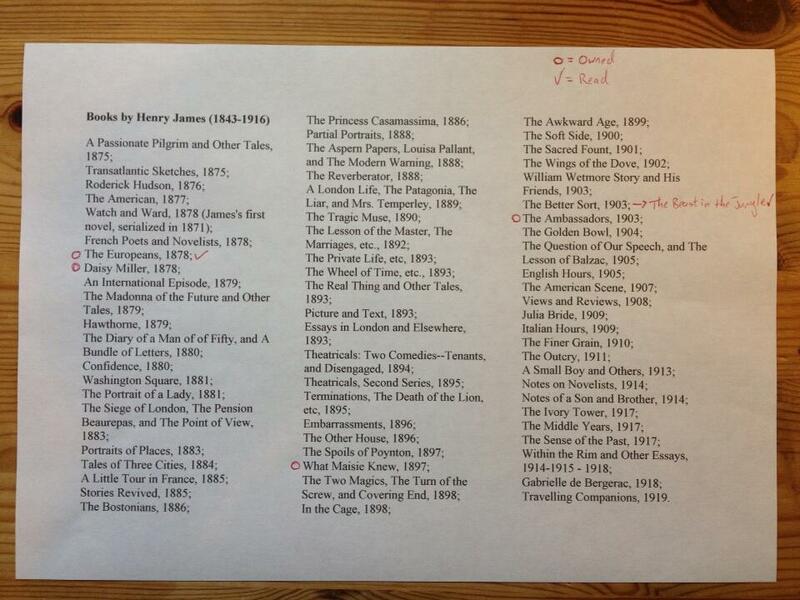 Accordingly, Ben is scrupulous in recording the language in which the central exchanges of the novel are conducted. Parents speak in Igbo—the language of the family’s ethnic group—the children in the local language of Akure, Yoruba. English is reserved for moments of crisis and religion. Thus the different capacities and mental propensities of each language—its rhythms and emphases—change the dynamic of each exchange and signal its nature and emotional tenor, serving to enrich and empower the meaning behind the utterance. English, although the official language of Nigeria, was a formal language with which strangers and non-relatives addressed you. It had the potency of digging craters between you and your friends or relatives if one of you switched to using it. So, our parents hardly spoke English, except in moments likes this, when the words were intended to pull the ground from beneath our feet. Consequently, Obioma pays a great deal of attention to the way characters speak: to sound as well as meaning. In his anger at their fishing, the boys’ father shouts “Fish-a-men!” Differences and difficulties in pronunciation mark the boundaries between Yoruba and Igbo, serving to highlight the family’s distinctiveness even as their unity dissolves. Having established the significance of language, Obioma is able to use it to demonstrate the power of grief and depression. The significance of silence in so capacious a linguistic community is profound. As is the power of such a rich language to overwhelm. Mother’s space in the room of existence gradually shrank as days passed. She became encircled by ordinary words, common tropes, familiar songs, all of which transformed into fiends whose sole purpose was the obliteration of her being. Indeed, it is the power of Abulu’s utterance—something which stands between the family’s Christianity and the native religions of Nigeria—which powers the ramifying imperatives of the central tragedy and its consequences. The tangled lines of the fishermen bind the brothers together as their fate impends. Obioma’s careful voice delivers powerful lyric moments, probing violence and grief and sadness. The Fishermen is an impressive debut novel which balances great immediacy with myth and tragedy. In its assurance and care it delivers a rich and compelling tale. I used to wish that I was a fish, and that all my brothers were fish too. And that all we did, all day, every day, was swim forever and ever and ever. The Fishermen is published by the One imprint of Pushkin Press. I think a man spends his whole lifetime painting one picture or working on one piece of sculpture. The question of stopping is really a decision of moral considerations. To what extent are you intoxicated by the actual act, so that you are beguiled by it? To what extent are you charmed by its inner life? And to what extend do you then really approach the intention or desire that is really outside it? The decision is always made when the piece has something in it that you wanted. 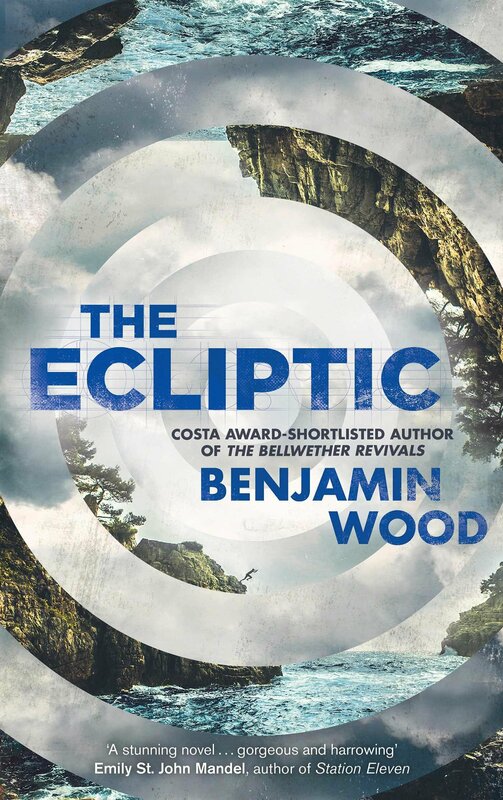 Benjamin Wood’s second novel The Ecliptic has at its heart three forms of instability: that of creation, that of criticism, and the artist subject to both. There is a fourth instability underlying these three: the novel itself, which creates a space of uncertainty and an analogue of creativity itself. The cipher for this instability is the ecliptic itself. The ecliptic, put simply, is the plane of the earth’s orbit around the sun. But since we all live here on earth, we observe the sun to be moving along this plane instead. Why? Because what would be the point of looking at things from the perspective of the sun? That’s no use to anyone. This is the explanation given to the painter Elspeth Conroy, a rising star of the male-dominated artworld of 1960s London, who is thrown into creative disarray as she tries to understand how to represent the ecliptic in a mural commissioned for an observatory. “How could I represent things that were themselves just representations of other people’s representations?” The ecliptic does not exist: it is a useful falsehood, a way of seeing. Conroy’s search is for the right medium to represent the collective delusion of the ecliptic. This useful, truthful falsehood touches on the nature of art itself. To paint the ecliptic is to wrestle with a challenge which drills down to the very core of picture-making: what is it to depict or represent? What is it to represent on the canvas something with so strange a nature as the illusive line of the sun’s orbit around the earth? In portraiture this problem does not arise, nor in landscape, because there is a presumption of realism in the physicality of their subjects; and even if the subject is fictional, its representation can stand on its own two naturalistic feet. But the ecliptic is something else, apparent but insubstantial, unreal yet functional. How does Conroy place that on the canvas? In this way Wood sets up a dialogue between realism and abstraction. The apparent duality of the ecliptic pulls Conroy toward both, but there is a suspicion of ‘abstraction for abstraction’s sake’ throughout the novel, representative as it is of a certain mid-twentieth century male machismo. You have to earn abstraction. This problem and Conroy’s subsequent breakdown lead her to the hidden Turkish island retreat of Portmantle and her experiments with a unique pigment which might solve the challenge of representing the ecliptic. Overseen by the austere presence of the provost Portmantle provides an escape from reputation: everyone receives a new name from the provost, Conroy’s is “Knell”; an escape from clocks, time, and “the straitjacket of the world”. Knell and her friends, a famous novelist, a celebrated playwright, and a frustrated architect are “long-termers” at Portmantle when they are enlisted to aid the troubled teenager “Fullerton” in making the transition to life at the refuge. Fullerton’s origins lie at the heart of The Ecliptic. In many ways the opening section during which he arrives feels like an extended prologue, before the second section takes us back to Conroy’s early life and career and the circumstances in which Portmantle becomes a necessity. The tension between art and life recurs throughout The Ecliptic. Removed from life whilst attempting question and represent it: That tension in the artist’s life is laid bare at Portmantle where the rules which ensure seclusion are meant to secure creative freedom. Yet, there’s no escaping the world: not in art, not in anything; and yet that is precisely what the space of creativity, what Portmantle seems to do. This tension underpins the novel, but it is a tension which reflects the tightness in the chest of creation. That anxious dialogue between art and life is one of the most successful elements of The Ecliptic. Art and life. The dangers of intentional criticism—that is, looking to the intentions and, more broadly, the life of an artist in order to interpret their work—are well attested but seductive. 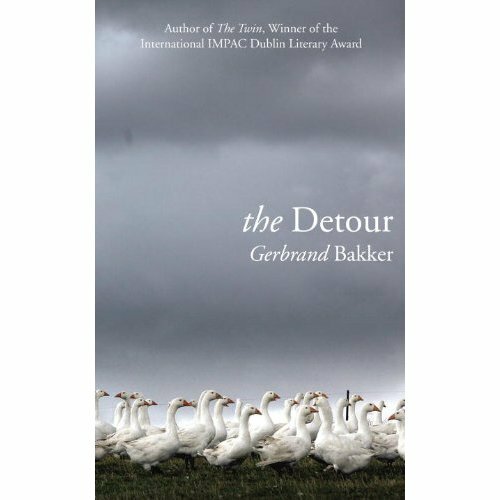 A second novel which follows a much-lauded debut and which contains plenty of anxiety about the ability to produce new work, to repeat the trick, and how to handle success, rather invites an intentional angle. I had become accustomed to this sort of discussion—the type in which I sat as an observer, hearing my own work being spoken about without being invited to contribute an opinion. I was passed around between people like the head on a coin, regarded only when questions needed a quick answer or small points required clarification. The Ecliptic is in some ways inimical to criticism or review by virtue of the ironic slant it forces on the reviewer. As Julian Barnes puts it in Keeping an Eye Open, Georges Braque “thought the ideal state would be reached when we said nothing at all in front of a painting.” It is hard not to read something similar into the chasm between creation and reception in The Ecliptic. Time and again the experience of the artist in creating their work and their judgement of its value by critics, galleries, and buyers creates an instability in the idea of artistic value itself. It is as if the experience and language of the two groups are completely distinct. Only other artists recognise the works Conroy considers her best. It is not straightforwardly that no standard for artistic judgement exists in the novel, but that the perspectives of the artist and the critic are so divorced as to bewilder Conroy when she hears her reviews. Clearly, Muirhead had failed to notice the sheer apathy that underpinned the paintings, how poorly I had gone about the task of executing them, how knowingly I had let them be carried from my studio, one after the next, like meat leaving an abattoir. Nor is this a kind of critical relativism: there is a difference between not knowing the value of a work—perhaps our being in no position to know—and its value being relative. Wood’s version of this recalls and reverses the chasm in perspective between the artist Frenhofer, on the one hand, and Porbus and Poussin, on the other, in Balzac’s The Unknown Masterpiece. The third instability I mentioned at the beginning of this review was that of the artist. It is not uncommon to pathologise the anxieties of the creative process. Indeed, it is something of a psychological industry, exemplified by the work of Kay Redfield Jamison. To link creativity and mental illness is seductive for some because it is one way of making sense of a mysterious process so often inimical to the mental health of the artist. Obsession can be pathologised, frenzied creation can be pathologised, barren periods become depression. It is, in general, unhelpful. Creativity requires a kind of instability, but it need not be mental. That this kind of instability plays a role in The Ecliptic has left me ambivalent. It will be up to each reader to decide whether it is convincing. The end of The Ecliptic will undoubtedly bother some. Any given reader will have to decide whether the questions Wood raises about realism and representation are best served by the ending he chooses. I think he strikes an uneasy balance between the novel’s concerns with instability and the mysterious space of creativity; but my concerns about the pathologisation of the artist remain; and, whilst the structure of the novel serves Wood’s aims, it may sag a little in the central sections. There are passages where Wood is perhaps too careful, opting for careful enumeration over the telling detail. Nonetheless, The Ecliptic is an intricate, ambitious, and compelling novel of creativity, ambiguity, instability, and the nature of representation. The fictional truth of the ecliptic and Wood’s handling of the dialogue between art, life, and the artworld is superbly realised, with resonances building throughout the novel. Moreover, the characterisation of Elspeth Conroy is, for the most part, spot-on: her anxieties, false-starts, resistance to the commercial, her youthfulness, and response to success all ring true and underpin the abstract concerns of the novel. All in all, The Ecliptic is a very good novel and comes highly recommended. The thrill of painting turns so quickly to bewilderment if you let it, and nobody can help you to regain your bearings afterwards. Talent sinks into the lightless depths like so much rope unless you keep firm hold on it, but squeeze too tight and it will just as surely drag you under. The Ecliptic is published by Scribner and is out now. My thanks to Scribner for this review copy. I wrote in my last post about reading the Thwaites Wainwright Shortlist as a way to further my understanding and engagement with landscape and the environment. (Not to mention the opportunity to read some very good writing). It’s going to take me a little while: This is resolutely unrushable writing in both form and content. Except, perhaps, for Helen Macdonald’s H is for Hawk which is a tumbling, headlong dive into grief, reconciliation, and the nature of wildness and the bond between human and animal. It contains some of the finest writing I’ve come across in quite a while. It’s won everything else, but I wouldn’t bet against it come the ceremony. What is so striking about Meadowland is the concentration of experience and knowledge poured into a single field and recorded over the course of the year. Lewis-Stempel emphasises from the outset that his is a record of a kind of affective experience (“I can only tell you how it felt. How it was to work and watch a field and be connected to everything that was in it, and ever had been”): something which can generate some remarkable moments enmeshed in the life of the meadow as well as the occasional platitude and odd turn of phrase as the writer overreaches in the search for expression. Yet, if one candidate for beauty is what Monroe Beardsley called “unity in diversity”, then Meadowland succeeds admirably in capturing the variety within the web of the meadow, even as the grasses are strewn with dew-lapped webs of another kind. Lewis-Stempel doesn’t shy away from the death which pervades the landscape: there is a particularly unpleasant squashed baby sugar mouse incident and the writer walks out gun in hand more than once. But from the print of that mouse-breaking cow’s hoof is born a microclimate which supports specialised fauna: as an intimate portrait of a rich and potentially threatened rural space Meadowland succeeds admirably. The moor ahead of me was a foaming, surging mass, a sponge squeezing itself, a waterlogged lung. I could feel its spume coming down on me, hear its roar. Next up for me is William Atkins’s The Moor: Lives, Landscape, Literature which tracks the moorland of mainland Britain from the Southwest to the Northeast through history, fiction, and the author’s journey. Thus far, Atkin’s writing is very impressive indeed. At a recent Faber Social Robert Macfarlane discussed the problem of moving from qualia–or the texture of conscious experience–to style, to a form of expression that conveys something of our phenomenology. Atkins succeeds, I think, in evoking not just the sensory experience, but what–if we were that way inclined and aiming for pretension–we might call the “semantic cloud” of experience: the images, allusions, and atmosphere that we supply in our engagement with our surroundings. (There is a Sebaldian influence hovering in the background, emphasised by the occasional telescoping of time.) Atkins populates this cloud with moors murders, hopeless Victorian schemes to tame the landscape, Henry Williamson’s Tarka the Otter, Du Maurier’s Jamaica Inn, and the “black pits” of R. D. Blackmore’s Lorna Doone. It’s working for me so far. The mist, secretly, had become fog, a deadening vapour that surged with the wind and seemed a presence as constant and primary as the peat underfoot. It was water with a rinsing of soap, an occlusion rather than a blinding. My cough sounded like an animal’s — in these conditions a noise lasts no longer than its cause. 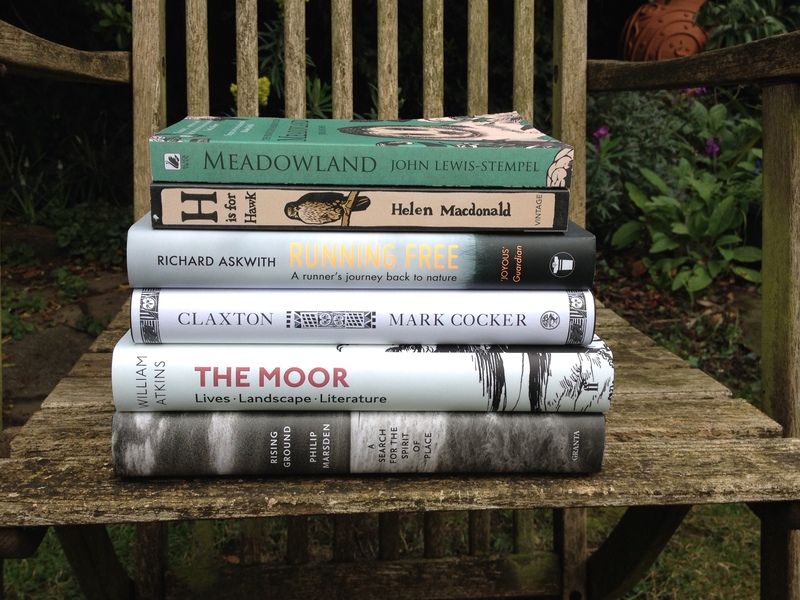 I’m fortunate to be able to run a competition to win a set of the Thwaites Wainwright Prize shortlist. Why should you read these books? I asked the judges what draws them to the kind of writing the prize seeks to promote, why its valuable, and what they are looking for when judging submissions. More to come in my report on the ceremony, but here are the thoughts of two of the jury. I can never get enough of nature writing. I love the way I am drawn, irresistibly, into the place or the subject of the author’s passion, inspired by the craft of writing and the quality of observation. As a country boy living in London and then Bristol, I found the words of great nature writers such as Richard Jefferies or Ian Niall a wonderful escape from endless tube journeys and concrete skylines. They inspired me to be more observant about my wild neighbours even in the depths of the city. But as well as conjuring atmosphere and magical encounters, such exceptional writing should sometimes be as challenging and discomforting as the natural world so often is – and of which the reader is a part. To enter the competition just leave a comment below, being sure to include an email address. The winner of the Thwaites Wainwright Prize is announced on the evening of Wednesday 22nd April. I will accept entries for the shortlist competition until midnight on Friday 24th April. I’m afraid that I can only accept UK entries. The winner will be chosen using a random number generator. The competition is closed and a winner has been selected. The first sentence is as good a place to start as any for a reflection on Kazuo Ishiguro’s first novel in ten years; and this is more of a reflection than a review, for The Buried Giant is a resistant, circular, and potentially frustrating work. The book begins with “You”: we are a part of this from the very beginning and are reminded throughout. We are immediately placed in a conceptual landscape and atmosphere, an idea of England as a patchwork of tranquil meadows valorized the world over: other Eden, demi-paradise. But it is an idea we should question precisely for its celebrity. The winding path to John of Gaunt’s bitter lamentation for sleeping England is long and part of the story itself. Something else came before and lies beneath the fields. We took a long time to get here, if we ever did. That simultaneously comforting, questioning, and warning opening sentence signals both the continuity of modern Britain with his concerns and creates a space for Ishiguro’s Dark Age novel of myth, legend, love and memory to occupy. The Romans are gone. Who knows how long, but their ruined villas dot the country. This is a landscape of magic, ogres, demons, and sprites. Britons and Saxons live separately, but mostly in peace, spread across the “desolate uncultivated land: here and there, rough-hewn paths over craggy hills or bleak moorland.” Time is unmarked. Two old married Britons, Axl and Beatrice, live on the margins of a warren of dwellings dug into a hillside. They are increasingly troubled by the way those around them—especially the young—forget people and events. “It simply did not occur to these villagers to think about the past—even the recent one.” Their candle has been taken from them—too old—yet it is Axl and Beatrice who seem to recall the most, to resist the darkness of “a mist as dense as that which hung over the marshes”. Axl and Beatrice set out on a journey long put off for reasons neither really recalls, to visit a son neither can picture, who lives in a village neither knows how to reach. It seems they forgot their son for a long time, forgot they ever had a child, although they sometimes wondered, sometimes saw images when half asleep of a small hand held or some conflict leading to their son’s departure. Throughout the novel Ishiguro shifts the reasons Axl and Beatrice think they are searching for their son: he anxiously awaits them, they will live with him and be cared for, they are simply visiting and will return to their village. What remains is the belief in the necessity of their journey and their bond: a belief which has more to do with feeling than memory or knowledge. In that sense Ishiguro is dealing in themes of memory and trauma which run back to A Pale View of Hills. This troubling fluidity of desire, intention, mood, will, and memory permeates The Buried Giant. It is reflected in the landscape through which Axl and Beatrice move: a landscape without reference points, where fiends attack from behind, and strange tableaux emerge from the rains and forests. This strange rootlessness of a country which is nonetheless England recalls the floating village of Jim Crace’s Harvest; and the troubling half-recognised narrative space of Quarantine. 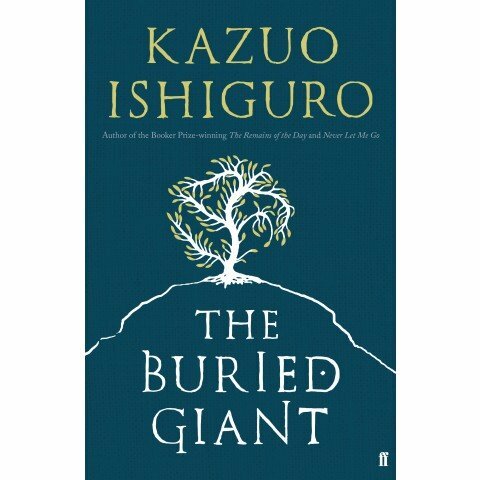 The Buried Giant is in many ways a fusion of Ishiguro’s literary concerns: the loss of memory and control, and a troubling ethical environment which we cannot entirely reject, because it is grounded in love and care. At the heart of this novel are the conflicting necessities, the paradoxical duties of remembrance and forgetting; and in that twin necessity is an allegory both of history and of love. Axl and Beatrice’s journey and their simultaneous fear of remembering and forgetting the life they have shared forces us to think about the differences between national memory and the memories of love. Reconciliation requires both acknowledgement of past wrongs and a kind of forgetfulness which can so easily become a belief in the necessity of suppression in the cause of national pride, recovery, and stability. (“Is it shame makes their memories so weak or simply fear?”) These are motives easily recognised in modern Russia and China, but which is equally insidious in the whiggish tendencies of a Britain in the midst of a celebration of Magna Carta. It is tempting to link Ishiguro’s Beatrice with Dante’s, but Axl is old and his crossroads are unlike those of The Divine Comedy. We remain in the dark wood throughout The Buried Giant. Beatrice is Axl’s constant companion: a picture of love—another winding lane, another concept with darkness lurking beneath it—more honest than Dante’s courtly infatuation. Yet, Ishiguro retains something of Dante’s journey—something shared with journeys from The Odyssey to The Pilgrim’s Progress—as Axl and Beatrice meet figures who represent conflicting approaches to memory, duty, shame, peace and revenge. Unlike those legendary journeys, however, there is little moral clarity or satisfaction to be found. The fantastic is deployed, at least in part, to undermine the allegory of the journey and mythic ideas of nationhood. Indeed, it is one of the advantages of fantasy that creatures, landscapes, and characters can become representative of aspects of humanity in a manner realism militates against. The legendary characters or creatures that populate the novel are often weak and tired: implicated in the false logic of genocide and the suppression of memory in the service of peace. In that respect, the influence of Michael Moorcock can be detected in The Buried Giant. It may well be that the shifting and veiled narrative of The Buried Giant frustrates many. Yet, rather like Keith Ridgway’s otherwise very different approach in Hawthorn and Child, the resistance to narrative cohesion is part of the point. Memory, shame, duty, and vengeance are part of the story not just of England, but the world: part of us; and the winding path of love runs not to Dante’s paradise and a beatific vision, but to moments of joy, contentment, ease, conflict, resentment, union and separation. It is in that respect—and despite its Dark Age demeanour—a very timely novel. It will take some time to tell, but I think The Buried Giant is a serious achievement: one that will split people. Which seems rather fitting. The Buried Giant is published by Faber on the 3rd of March 2015. My thanks to Faber for this review copy.